Just this week I trimmed down my living space by at least 1,000 square feet. I went from a suburban home with tons of storage to a downtown city loft with practically none. It was one of the best decisions I ever made and my life has become not only so much simpler, but also way more inexpensive! What many people don’t realize is that downsizing and decluttering can really save you a lot of money. In addition, downsizing and decluttering can make your life considerably more stress-free. First, I want to analyze our attachment to “stuff” and resistance to downsizing. Then, I’m going to give some tips on downsizing and how it can help you save a ton of money. Before I became a full-time writer, I owned a thriving professional organizing business. My job, in a nutshell, was to help people declutter and organize their homes. So I understand completely how attached we can become to our things, as well as why so many of us buy big homes or spend money on storage units to store all our stuff. Many of our things help give us a sense of identity. For instance, that tower of books helps reaffirm that yes, we love to read (and it proves how intellectual we are to our friends). Our closets full of clothes reinforce our individualist sense of “self.” Our antique furniture might help us feel grounded in a way that modern furniture just can’t. We also might inherent stuff from our family and friends. These items can have a powerful hold on us. Many times we can’t let go of these things because they’re a crucial link to a person we love. Stuff can take on a life of its own, especially if it’s given or bequest to us by someone special. The problem occurs when we don’t self-regulate our consumption of stuff, and we don’t get rid of what we already have. This mentality manifests itself when we buy stuff to fill a void in our life, when we buy to make ourselves feel better after a bad day, or when we buy because we don’t have anything else to do. This kind of consumption easily leads to packed homes that require significant investments to keep up. We spend time cleaning around this stuff. 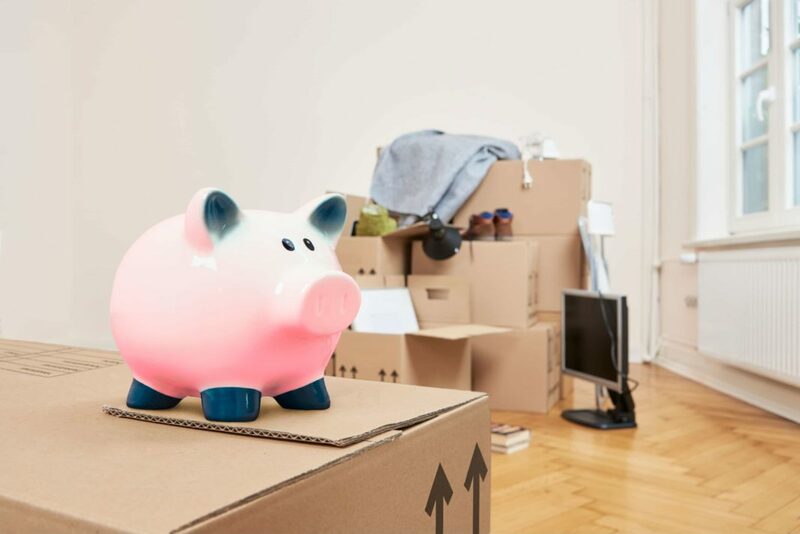 We pay a larger mortgage (or monthly storage unit payments) to store it all, and we pay the larger utilities that go along with the bigger house. In a sense, the stuff we own ends up owning us. The good news? Well, the good news is that we can hop off this consumption train any time we want. And if you do, you just might find you’re happier, have more time, and definitely have more money in your pocket. The less stuff you have, the smaller space you need to store it all. The move I just made is going to save me $260 per month on housing. Because I got rid of so much stuff before my move, I didn’t need such a big space anymore. My savings are going to add up instantly. Stop and think about the size of your home, and how much of that space you’re paying to store stuff. You might be surprised at how much your stuff is costing you! Write down how much you pay monthly for your house or apartment. Now estimate how many square feet you’re using to store stuff: include your closets, your basement, extra bedrooms, and your garage. Multiply that times your “monthly square foot” cost. Yikes! For instance, imagine your home is 2,500 square feet (including storage space) and your mortgage is $1,600 per month. You’re paying .64 cents per square foot, per month, for your home space. If you’re using 1,000 square feet total to store stuff, this means your stuff is costing you $640 per month. How much would you save by downsizing to a smaller home with a smaller mortgage payment? You do the math! A bigger home means you’re spending more every month to heat and cool the space. Not only is this bad for your wallet, but it’s also bad for the environment because you’re consuming more energy. You can use the same exercise that we just did to figure out how much you’re spending to heat and cool every square inch of your home. Simply take the yearly total of your heating and cooling (or you can do just one month) and divide your square footage into that number. For instance, if you’re spending $300 per month on electricity and heat, and your home is 2,500 square feet, you’re paying .12 cents per square foot for utilities. That 1,000 square feet you’re using to store stuff is costing you $120 per month to heat and cool. When you live in a home that’s packed with stuff and clutter, chances are your air quality is not as healthy as homes with fewer things. Because homes that are cluttered are almost always dustier and dirtier than homes without it. They are much more difficult and time-consuming to clean. Owning a house full of stuff is also often stressful. You worry about it. You groan when you have to clean it or move stuff around. This stress can also negatively impact your health. Sites like eBay or Amazon are a boon to “declutterers” because you can sell your stuff there and recoup some of your investment back. In fact, I’ve sold several of my used books on Amazon. Last month, I brought in over $250 selling books online. The month before, close to $100. And it was a cinch to set up and sell! Find ways to sell your stuff. It’s worth it! I know it’s easy to get attached to stuff. And the process of downsizing is not easy or quick. Even with my professional experience, it took me months of regular decluttering to trim down our stuff. And I still feel like I have too much! If you decide to declutter and downsize your life, give yourself time and space to do it. Work slowly! Focus on one room, or even one corner, at a time. Don’t haphazardly declutter because you’ll likely feel you aren’t making progress (because you can’t see it) and quit. Decluttering and downsizing can be a challenge, but I promise it’s worth it in the end. The more you get rid of, the more you’re going to save for things that truly matter, like living a debt-free life or saving for your kids’ college education!